Q. First, the most important question: Where’s the first place you will go in your new car? Well, I wish I could go on a longer trip with the new car but this is a very busy season for me as interpreter and translator so I can think in terms of a short ride only. So I decided to go to Lake Balaton and visit some friends there. Q. Now, from your website I see that you have over twenty years of experience as a translator and interpreter. What kind of changes have you noticed in your work and in the industry during the course of your career? In the course of the past 23 years as it is quite understandable many things have changed. When I started my career, a few years after the political transition here in Hungary, very few people could speak and did speak foreign languages. There was a high demand for interpreters and also for translators in my case, as I worked at that time at one of the Big 6 companies mainly due to the privatization processes where all the documents had to be translated into English. Now, more than 20 years later a new generation grew up, these young people, or rather their parents, realized the importance of foreign language skills so the majority of them speak English, but quite often a second foreign language as well. The multinational companies use English as their corporate language (even if it is e.g., a German company), thus the need for translation has greatly decreased. Nevertheless, considering my specific areas of expertise and the fact that I am doing mainly simultaneous interpreting, plus working not only in English but also in German, I am optimistic about my personal perspectives. Q. You’ve interpreted for some impressive brands and organizations. What do you find most rewarding about your work as an interpreter? To become an interpreter has always been my dream. Now, more than two decades after the start of my career I am still certain that I have the best job in the world, at least the right one for me. I like independence, intellectual activity, constant learning, and travelling, always meeting new and interesting people. I have worked for/with famous politicians, celebrities, artists and I sometimes I am amused by realizing that most of them have already disappeared from the public life, from the stage, and I am still here. Q. Are you optimistic about the future of the language industry? In my previous answer I have mentioned already what I think of my own future, the future of my career. To be quite honest I am not optimistic at all concerning the future of the language industry in general. With all the translation memories, interpreting gadgets and the obsession with saving money on everything to the detriment of the quality, I think in about 10 years’ time lots of translators and interpreters will be left without any assignment, or paid much less than today. Q. The theme of this campaign was ‘The Open Road’. What is next for you in your career? Open Road for me means new challenges, opportunities and many new things to explore. I think in our profession constant learning has to be the first priority. Thus, for me, deepening my knowledge in some specific areas, like medical and legal areas, is very important. Learning the use of CAT tools would be also necessary and also modernizing my website is there on my agenda. Thanks Eszter for your time, and congratulations once again! All interviews in the Open road series can be seen at http://www.proz.com/open-road. From December 1st until December 3rd, ProZ.com, Dutch translator and copywriter Pieter Beens and the rest of the ProZ.com community joined forces in a ‘Giving Tuesday’ year-end donation drive and collected over $1,800 USD to be donated to Books For Africa, Concern Worldwide and SOS Children’s Villages. In turn, ProZ.com matched dollar for dollar the collected amount and over $3,600 USD will now benefit these three non-profit organizations. Click here to see translated versions or suggest your own. Pieter Beens for proposing this initiative and spreading the word. ProZ.com professional trainers Claudia Brauer, Anneta Vysotskaya, Konstantin Kisin and Samuel Sebastian Holden Bramah for donating their time and knowledge. ProZ.com users and members who donated through membership and training, or by making a direct donation. ProZ.com users and members who proposed their translation of Mother Teresa’s quote. Everyone who helped to spread the word! Thank you all who joined ProZ.com’s 2015 celebration of Giving Tuesday! How did you celebrate Giving Tuesday? Share below. #GivingTuesday is an international phenomenon to raise funds for a host of charities. In the spirit of this event, ProZ.com is hosting the #ProZcomDrive, a special campaign to raise funds for three non-profit organizations: SOS Children’s Villages, Concern Worldwide, and Books For Africa. 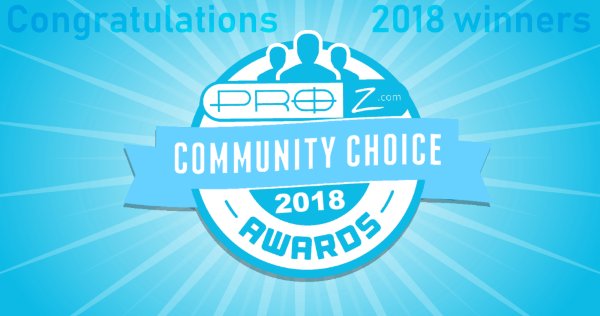 All proceeds from the ProZ.com ‘Giving Tuesday’ year-end donation drive will benefit these programs to help families in need, raise funds for emergency response programs, and support literacy initiatives. Although fundraising within the translation community is a major aspect of the campaign, there is much more to say about the importance of translators for charities. In this article I will mention a few. Translators often do not associate themselves with charities professionally. Of course many of us are involved in volunteer jobs, varying from caregiving to supporting political parties, but there are few translators and translation agencies that continuously support charities for free. That is nothing to blame translators and agencies for: supporting charities is not the most obvious choice when it comes to sponsoring or even to corporate sustainable development. At the same time many charities do not ask translators and agencies to help them out with translations for free. One initiative to connect charities and translators for free translations is Translators Without Borders. Translators can play an important role for charities. First of all, they can offer free translations (also outside Translators Without Borders), so charities can do their lovely jobs and reach their goals with a minimum of resources. However, free translations should not be the main objective for charities when collaborating with translators. Indeed, translators can offer much more than just financial help. Language professionals, and in particular native translators who live in the countries where charities are active, have actual knowledge of the country and culture of the language in which they translate. They can be the “eyes and ears” of the charities they work for, and know how these organizations can be most successful in reaching their goals. At the same time, they can inform charities about local developments, and even point out new goals and locations where their efforts are needed. Translators can also contribute their commercial knowledge to these organizations to help them better deliver on their mission. For example, they can share best practices in reaching out to the public or in translating different types of texts. They can help educate charities as to how they can be successful in motivating volunteers or raising funds. Translators can also apply their knowledge from particular areas of specialization, like healthcare or technology, in translating texts for non-profit organizations as well. A final important role of translators in the non-profit sector is the role of networker. Charities often do not know where to find the right translators for a particular language or where to go in a certain country to get help, subsidies or support. Language professionals can guide them to local authorities or centers that can help the charities to realize their goals. All proceeds donated by the translation community from December 1st to December 3rd as part of ProZ.com’s ‘Giving Tuesday’ year-end donation drive will benefit SOS Children’s Villages, Concern Worldwide, and Books For Africa. In turn, Pieter Beens is also donating 10% of his income for the entire month of December to a fourth initiative: Project Jedidja, a project to fight illiteracy and discrimination among disabled children in Guinea Bissau. After an entire year networking, expanding your business, improving your work and having fun, you now have the opportunity to give something back: whether it be through donations, fundraising, volunteering your time and expertise, or simply by calling others to support a particular cause or initiative. Help spread the word on social media using the hashtags #GivingTuesday and #ProZcomDrive. Books For Africa collects, sorts, ships, and distributes books to students of all ages in Africa. They remain the largest shipper of donated text and library books to the African continent, shipping over 34 million books to 49 different countries since 1988. Concern Worldwide implements emergency response programs primarily in the world’s poorest countries, has been a leader in health and nutrition issues, and has been on the forefront of helping communities develop resilience to high-impact climate extremes. SOS Children’s Villages works to prevent family breakdown and care for children who have lost parental care, or who risk losing it. They work with communities, partners and states to ensure that the rights of all children, in every society, are respected and fulfilled. ProZ.com will match, dollar for dollar, the first $10,000 USD donated to these charities. Special thanks go to Pieter Beens for the initiative, to ProZ.com professional trainers Claudia Brauer, Konstantin Kisin, Samuel Sebastian Holden Bramah and Anneta Vysotskaya for donating their time and knowledge in support of this drive, and to the members of the translation community who join ProZ.com and Pieter Beens in this #ProZcomDrive! Do you have any other plans for #GivingTuesday? Share below. Oleg Rudavin is a Russian and Ukrainian translator –and a garden flowers lover— who has been part of the translation industry since 1985 and an active ProZ.com player since 2001. At ProZ.com, Oleg has acted as a moderator and he is currently a trainer, the site’s local contact in Ukraine and a dear friend. With extensive experience in freelancing as a method of conducting business, he is also the author of Internet Freelancing: Practical Guide for Translators, a book published in both English and Russian. Oleg is also one of the organizers of the 2015 regional conference in Kharkiv, Ukraine –his fourth conference!– and the speaker in charge of the last session of the day: “Монетизация знаний, умений и навыков, или что продавать”, and his 12th presentation at a ProZ.com event. How did you get started in translation and what was the most important obstacle for you to overcome in building your career as a language professional? I graduated from the foreign languages department of Kharkiv University in 1985 and have been translating and interpreting since then. The most important obstacle to overcome at that time was mental stereotypes: the new opportunities that appeared with the Internet were way beyond anything I had known before. Do you maintain relationships with your fellow professionals? If so, in what ways? I do – in all possible ways, both in person (regularly meeting locally, or occasionally at conferences) and online, with direct communication or in social networks. How do you see the future of translation for freelancers? Pessimistic on the whole. The growth of the demand is mostly due to the low quality/price segment expanding; the existing supply can’t match the demand; as a result, the quality criteria and standards get worse. Is this your first time as a ProZ.com event speaker? If so, what are your expectations and what can event attendees expect to learn or know from your presentation? I first spoke at a ProZ.com conference about ten years ago and do it quite a lot. It’s probably because I love sharing my knowledge and experience – and know for sure that a lot of my colleagues benefit from it. My presentation is aimed at showing attending how to apply self-criticism and how to acquire the ability (or at least the desire) to analyse and plan ahead. A conference is usually a great way to get answers to most of one’s questions – often from informal communications rather than from presentations. Follow Oleg and the rest of speakers and attendees live this Saturday, November 21st, through Twitter and Livestream. How do you sell your knowledge and skills?